Kossoh Town Boy: A Time Capsule of Pre Independence Sierra Leone – Conundrum. As time passed, my relationship with reading grew. During my countless journeys into the land of reading, it wasn’t long before the noticeable absence of encountering authors or poets from my country Sierra Leone started weighing on my mind. Naturally my curiousity kicked in which eventually led me to discover(re-discover) them for myself .What was more shocking was how talented these writers were, yet they had received or were receiving little recognition in my country, and their works remained largely forgotten or ignored. Their names were familiar to only the avid readers in Sierra Leone who like myself had searched for them or had prior knowledge from another source. Sierra Leone was in the midst of its own Dark Ages regarding the arts at the time, hopefully springs of hope are currently bubbling. But I digress from the purpose of this article. It was in my fourth year at the Sierra Leone Grammar School at the annual prizegiving ceremony that amongst the prizes I received, the one merited for first in English Language was a novel. At first glance, it seemed like a plain, non assuming book , on its cover was the title ‘Kossoh Town Boy’ with its author’s name below in block letters, ROBERT WELLESLEY COLE. I turned a few pages, speed read through the first paragraph but eventually tossed it aside for later reading after I was done with the just released Harry Potter novel my friend Siati Charles Kormoh had grudgingly lent to me the previous day. Kossoh Town Boy had to wait for 2yrs before I would touch it again . Awaiting the WASSCE result during the school break is mostly a bore, compounded with the fact that my laptop had just crashed. 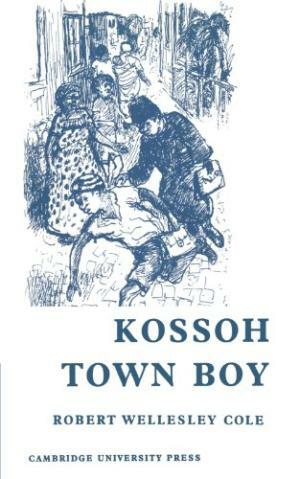 I had to scavenge for old books to wile away the time when I stumbled upon my Kossoh Town Boy novel again. I mixed my usual cup of tea which is my ritual before reading a novel and the rest is history. Kossoh Town Boy left an impact that imprinted on my mind. 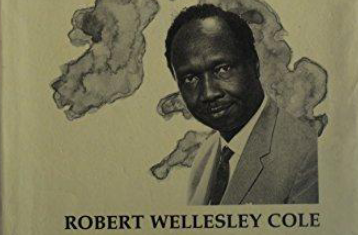 Robert Wellesley Cole an accomplised surgeon in the early 20th century with a great track record in the medical service had penned his childhood memoirs with a brilliance reminiscent of the murals/frescoes of Rennaisance maestros. Kossoh Town Boy is a time travelling work of art into the geographic, ethno lingual, evolving political and multi cultural landscape of Freetown in the pre independence years, specifically between 1907 – 1930, with brief forays in years earlier than 1907. The deft way he described the geneological makeup of his Krio lineage , the Kossoh tribe assimilation, the connection stretching back to the Igbos and Yoruba from Nigeria and the West Indian connections that amalgamated into his immediate family is masterful. Freetown from the eyes of a young Robert called Ageh in the novel is one of vast potentials and promise. Religious tolerance that has survived on to this day is a hallmark that runs throughout the book. A city where educated Krio christians lived happily alongside native pagan tribes that back then still held on to polytheist beliefs whilst also getting along well with muslim Temnes, Madingos or Fullahs speaks volumes of the origins of stability and cohesion that has existed in Freetown effortlessly through the ages. The British Crown Colony’s occupation of the West African colonies of Ghana(Gold Coast), Gambia , Nigeria and Sierra Leone is also spelt out with the interconnection between the denizens of these separate countries. This was a time when a West African could claim to belong to all colonies. An individual might be born in Gambia, attend school in Sierra Leone , work in Ghana then settle down with making a family in Nigeria. The tincture of subserviency to the British colonialist is also crystal clear but the blooming seeds of Sierra Leone nationalism had been sown, sprouting flowers in the hearts and minds of young Sierra Leoneans aiming for excellence. The entrepreneurship of merchant Syrians as the indigenous population also ventured into trading is worth noting when drawing comparison with the replacement of Syrians to present day Lebanese foreign nationals who in some ways have become nationals in their own right. In narrating his early years, one can not help but feel a sense of nostalgia of a time gone by when family ties were stronger as a tight knit group of loved ones, and just not a societal construct. From the strict father, to the loving but stern mother , the doting grandmother with the matriachal wisdom and the neighbours who also in many ways eschewed the latin phrase of ‘in loco parentis’. All kids were ingrained with high sense of values, discipline and respect between/ amongst their peers and also for elders. The filial in-house mechanics of Ageh’s family was one were his father imparted wisdom to his two sons with the need to evaluate thought before actions and sometimes enforced his authority via corporal discipline when they misbehaved, this was an era where the Biblical rod still ruled. Its hard not to admire the innovation and resourcefulness of the people at a time when technology was at a creeping stage. The warm bath used to combat fever and the enema treatment to ease constipation are but vestiges of the past when compared to current improvement in medicine. Hammocks were used before the advent of cars which had not yet plied the streets of Freetown, they however had the added advantage of enjoying picturesque virgin forests laden with fruits , breathtaking views of the ocean and encountering animal wildlife along the way on such journey trails. His descriptions of the vegetations at mount aureol, the winding paths to the newly constructed family house and the sense of pioneer living is one he paints with vivid imagery. Inducing a sense of forgotten memories in the heart of every male when he mentions the games that he played which up to present day boys still engage in but in lesser numbers is timeless;from hand stoning mangos to riding ‘gigs’, taunting fellow classmates into starting fights, the wrath of the class bully and dusty winding home treks that were filled with adventure . The feeling of childhood is imbibed in his narrations. In conveying the theme of the overreaching African patriach who controlled the decision of his children, prevalent as it is throughout the novel, he shapes it with the hindsight that his father did all in the wisdom of his(Ageh’s) interest and such some decisions were made before asking him which the ever docile mother supported her husband. 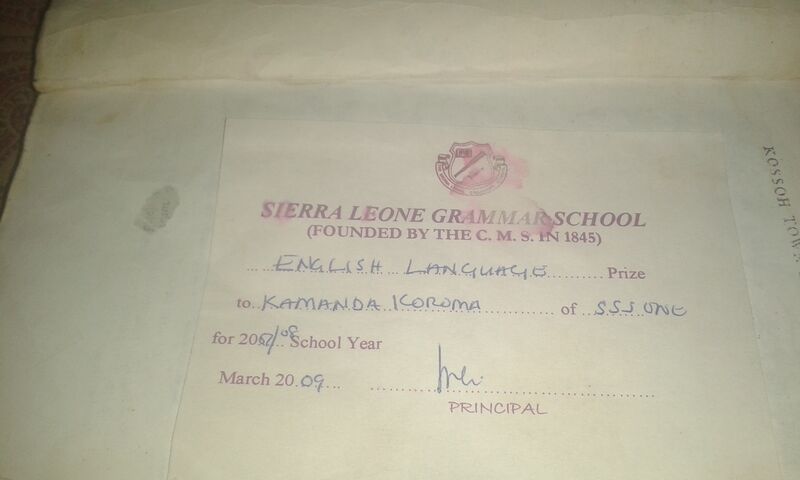 When his dream of attending the CMS Grammar School( now Sierra Leone Grammar School) after completing his primary school was postponed, he utilised such an instance to make the point that it inadvertently led to him becoming the student listed as number 1 on the first government established secondary(now Prince of Wales) in Freetown. Partriachy was quite common during that era and exists on to this day. The subsequent success he achieved in his exams were marks of his astute devotion and quality education offered at the time, an education standard which has over the years dwindled and plummeted in quality in Sierra Leone. Ageh’s elation when he switced school is well narrated. The Sierra Leone Grammar School may have moved location and dropped the CMS when it adopted ‘Sierra Leone’ since the days of Ageh, but it has not lost the camaraderie feeling which he described amonsgt the students or the richness of history of tradition and academic excellence. As I also went through the halls of that school I couldn’t help but smile or laugh heartily at the experiences he shared , the similarities between his and every Regentonian is timeless and striking. The espirit de corp still lives but the rivalry with Methodist Boys High School has waned through the years, but the academic excellence hasn’t. Likewise the relationship it shares with its female counterpart Annie Walsh Memorial school has thrived on. The musing as he grows into a young man and starts noticing the blossoming growth of the opposite gender which he had overlooked in his pre pubescent years makes way for a young man naive yet confident to employ the chivalry route but who has in him instilled the virtuous chaste ideas of a Christian boy. As times have changed and the city has transformed in many ways, I sometimes try to imagine through the eyes of Ageh how the landmarks locations , and streets mentioned in the book had looked like in the time of Ageh. Sometimes, my thoughts trail to the processions he witnessed and described during the holiday seasons. From the Christmas morning bells to its service, to the ‘Mamipara’ men on stilts , to the oiled dancing ceremonial Bundu girls, the Egugu devils and the various spectacles that came with those bygone days. The sad realisation dawns that along the way we have allowed the erosion of our culture , and with it a sense of loss as you peruse through the pages of Kossoh Town Boy and juxtapose the industriousness, promises and ambitions of the people back then to our current generation. We may have all the technological advancement but there is a lot to learn from the memoirs of a young Robert Wellesley Cole. Its worth a read by every Sierra Leonean, not just as a novel but as a historical source. “I realise that I am talking like an adult now. we feel best as youngsters. but, alas we need the intellect of maturity to analyse what we felt. younger generations to emulate these values.East,West,South and North home is the best.